Want to take more control over your synthesizer parameters then look no further than the Mode Machines DT300. The Mode Machines DT300 Programmer is a powerful synthesizer controller and programmer that will gives you more functionality to your synthesizer, specially designed with instruments like the Juno 1, Juno 2, and MKS-50 in mind, this versatile unit will give you a full set of options for shaping your sound. The DT300 controller is built with a robust, tour ready housing and its retro design fits well with any synthesizer set up. It's a great tool for you to add to your tour and studio gear and features all the latest technology so is fully up to date with anything else in your studio. The DT300 is simple to use and will yield excellent results. Take full control. 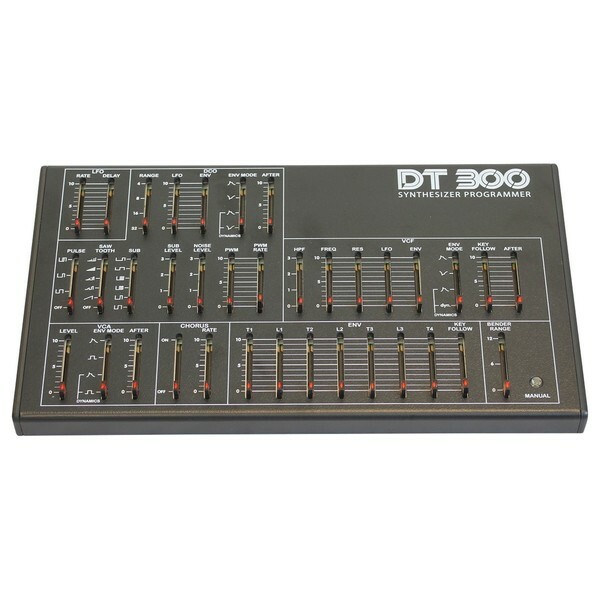 The Mode Machines DT300 programmer is a powerful add on desktop module unit for your synthesizer. 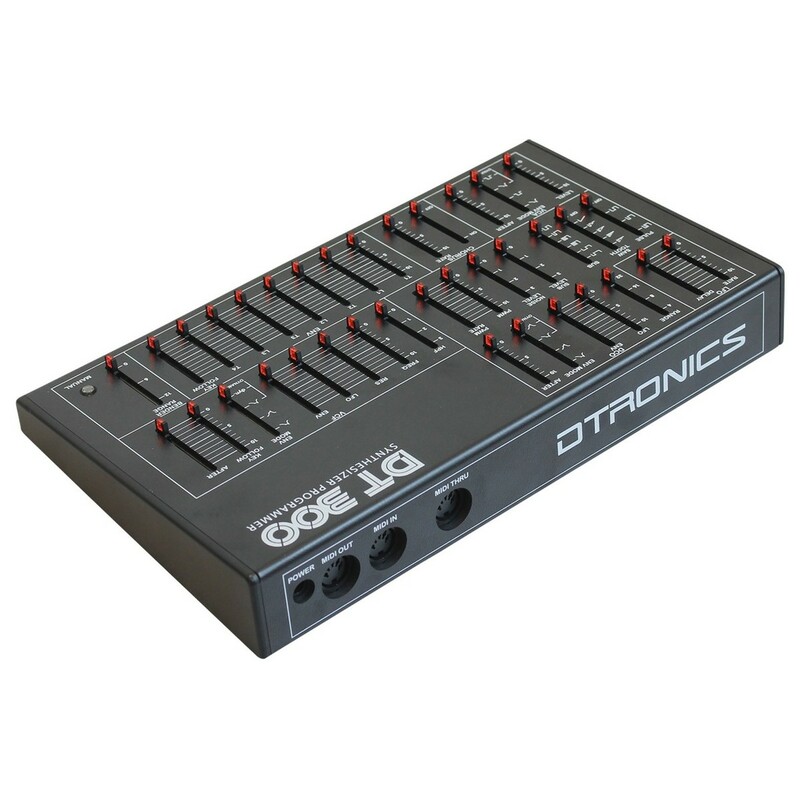 It allows you to control multiple different parameters via the outboard unit. These parameters include: LFO, Envelope, VCF, Chorus and VCA. The DT300 gives you a lot of control and comes with all the necessary equipment to connect it up to your gear. 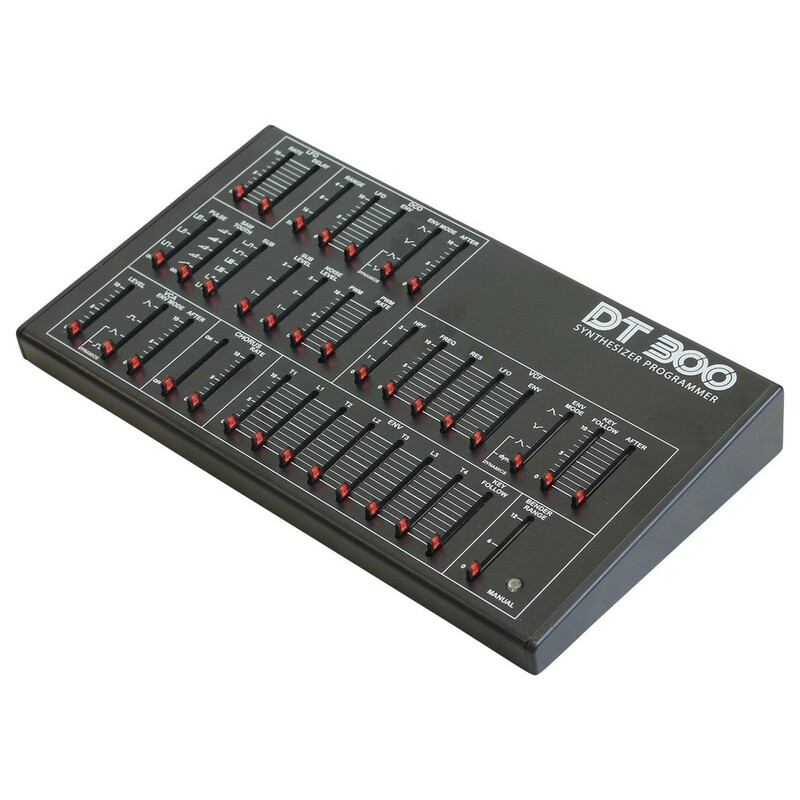 The DT300 programmable unit is based on the PG300 and has been adapted with the Roland Alpha Juno 1, the Alpha Juno 2 and the MKS-50 synthesizer in mind. It's powerful, easy to use and is a definite must have if you play, perform or compose with these synthesizers. Plug it into your Juno and then begin shaping your sound.